Has Wayne Rooney made the right decision? According to Manchester United boss Alex Ferguson, England striker Wayne Rooney wants to leave the Old Trafford club. The news that Wayne Rooney wants to leave Manchester United could hardly have been a more surprising story. The England striker, who had previously seemed so happy at Old Trafford, has apparently become tired with the team with which he won the European Champions League and numerous English titles and is keen to find pastures new. The fact that United - one of the world's most famous clubs - are now resigned to losing their most prized asset against the will of the manager is not a situation they are used to. Alex Ferguson's press conference - in which he told the world of his disappointment - was remarkable for a number of reasons and spoke volumes about his feelings on the matter. It is rare that one of the most successful managers in British football is anything other than efficient in his dealings with the press; but in front of reporters he was open, candid and loquacious. Fergie even showed an emotional side, which though controlled, is not often seen. He spoke of his shock and disappointment that after all the club had done for Rooney, the striker was choosing to bid farewell, without giving a reason why or having approached contract negotiations. There are a number of speculative possibilities which may have forced the move: a rift between manager and player, an opportunity to earn more and win more at another club, or as a way of escaping the media heat that has followed the revelations regarding his private life. Is Wayne Rooney making a mistake by leaving Manchester United? Ferguson contested many of the above, denying there had been a fall out and maintaining the club had only supported the besieged goal-getter through what has been a headline-making couple of months. He also countered that United could match any money being offered by rivals if that was Rooney's concern. What is clear is that these arguments fell on deaf ears when given to the man in question. The reality is that in Manchester City and Chelsea, there are maybe far more lucrative offers available along with squads that have more chance of gaining silverware. It has been a strange start to the season in the Premier League and maybe Rooney has anticipated, and plans to capitalize on, an emerging power shift among the top four? Like David Beckham and Cristiano Ronaldo before him, maybe it is the call of the Bernabeu that has proved too much? Though the Spanish club have been keen to quell rumors of interest, they will be all too aware that a Rooney-Ronaldo combination has won a Champions League before. Rooney can also sell shirts with the best of the Galacticos. The move would also solve the need for some space away from the ever-salacious British press and would pair him with a coach, in Jose Mourinho, who speaks English - surely a must if the striker is to ply his trade abroad. The speculation will continue until Rooney clarifies his situation, especially now that the canny Ferguson has put the ball back into his court. But as to who will benefit more from the decision is another question. Rooney risks trumping Luis Figo in the league of "world soccer's taboo transfers" if he moves to United's rivals City, and is not the first person that jumps to mind when thinking of someone who will adapt well to foreign climes. The challenge to remain on top of his game whilst keeping his reputation intact will be tough. Not least because he has now left two clubs in acrimonious circumstances - the club he supported as a child, Everton, being the other. Similarly, United too face an uncertain future without the player who has been their talisman over recent campaigns. With an aging squad and stuttering early season form poor, Ferguson will need to invest quickly any finance that is raised from a Rooney sale to avoid further damage to his side's competitiveness. Ultimately, it is Rooney who made the decision and only Rooney who can determine what his future will bring. But now the die is cast, he will have his fingers crossed his gamble pays off. He's still young and very naive, a terrible decision. Biggest mistake ever. Remember Paul Gascoine... That kind of mistake! Rooney is like a spoilt brat who now doesn't want to play when he is feeling the heat. No sense of loyalty and gratefulness. No brains! you made a right decision mate..now it gonna be raining BLUES on the premiership..CHELSEA FTW..
Rooney is making a big mistake here. He is not bigger than Sir Alex. No other Premier League team will meet his salary demands, especially with the coming restrictions. He might fit into Real Madrid, but surely they also have their fill of superstars. He's painted himself into a corner; I hate to see what happens next. Rooney has always been a petulant and at times, spiteful individual. I am not a fan of Man U. I am however fed up with greedy footballers wanting more in a world where there are far greater things to worry about other than the wants of a selfish scouser. If he goes abroad he will suffer trying to master a foreign language, given that he has trouble enunciating in his native tongue. He may well go the way of Paul Gascoine if he leaves Man Utd. Good riddance I say. At every level of the game, each component is a "business." Rooney has been good "business" for both himself and the club, not a "human" but a business. People get caught up in this cult of personality nonsense and and forget that Rooney owes MU nothing but a place to labour, and MU owe him a pay cheque. That's it, plain and simple. MU lusted after him, not the other way 'round. I live in England and most of us are sick of seeing this lout in the news so we choose to look elsewhere. Dont you think this more relevant news than a thug who happens to play a game that youre not interested in? There si a time for EVERYTHING.. its TIME for Rooney to move on with his Life, sad as it may seem but Life has to go ON.. Rooney has done its best for United and can no longer carry the Burden of another season... Farewell my friend! United for Life!!!!!!!!!! Well rooney is rubbish. He is a good player but thats poor behaviour to a club which he said was the best 4 months ago!!! i am a big fan of man utd and wayne rooney. I have so many images of wayne in my wall. If he is gonna leave manu then i am gonna burn all those images. Let him leave fergie is too bossy and is a mr. know it all am sure rooney cnt stand him. Look at beckam n ronaldo? maybe it's the time for fergie to leave. Wouldn't it be interesting if he joined Everton again? I'm sure they would welcome his help. He should do whatever he wants but I would hate to see another superstar player go to another superstar loaded club. think its not a good move,but he needs a break..besides if a player isnt happy..he should move on..so all d best rooney..!!! Mr. fergie is too old to continue with man united...pls, sir leave the coaching for someone new and young... the boys are getting fed up with ur old fashion ur are too bossy for them. Rooney won't do as well without Man U. He is what he is today because of the team mates that he plays week in week out. Just look at how he performs for England. Below Par. Man U have excelled and will continue to excel without him. Remember Cantona, Hughes, Cole, Solksjaer, Best, Ronaldo. Trust Fergie. He has delivered time and again. If Rooney's heart is not in Man U, then good riddance. i think let him just leave man u is not good enough for Roney. 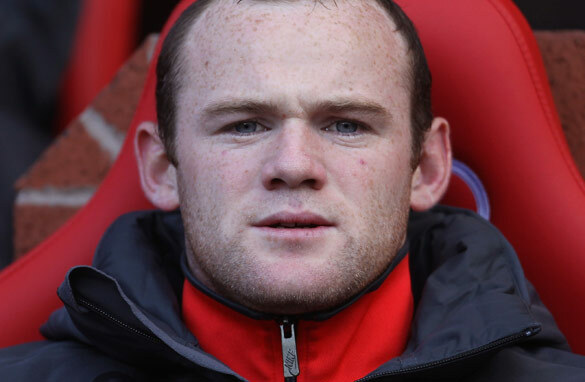 The boy Wayne Rooney looks very confused right now. I'm not sure he knows what he wants. This smells of agents and "tapping up". He's crossed the line now though and there's no turning back. I don't see this turning out well for Wayne. Rooney is behaving like a child and the only individuals happy with this scenario are Manchester United haters. If Rooney is truly looking for something new and different challenges he would move to another league all together. If greed is his motivation, chances are he will end up at Man City as they have the deepest pockets at the moment. guys allow me to talk to my boss Mr, Roman Abramovich to see if we can make some offer for Rooney. he,s a great player he need some help. you know what dude you are young and good with your stay @ Old Trafford ,however your going to be making a big mistsk ever when u left MU team and Old Trafford. I think its a good decision. Here is what I think, not that any of you care, and that is that these young men are making way, way, way to much money to go out there and kick a ball around. They are all spoiled babies out there looking for the almightly dollar and the rest of us are out here busting our butts day in and day out just to survive. Maybe he just needs some fresh air to breathe. So let him go, and i think that's what his youth has to pay. Rooney is not leaving because of the money. He is leaving because of how the ManU fans (and probably his fellow players) treated him after his recent little adventures. Although it would be sad to see him go, if thats his decision then so be it. Fergie should use the money and buy Benzeman from Real, i guarantee it would be the success story of the year. it is the worst decision ever. if he leaves Mu he is really a Judas. Mu had supported him a lot when he was just a child and now when the club in trouble he leaves. very disappoited. The agents are making use of the current situation to play the game. Rooney is their ball. Alex the goalkeeper. The agents will score with this penalty given the wide media coverage. they will win the game. There is no turning back now. I say just let them score and win. Rooney will be the real loser here. Let him regret somewhere else. Who cares, for God's sake? Yawn!! The whole drama is for getting a good price for a non-performer. If football is his motivation, and not money or escaping the media glare, then moving to Real Madrid, where he would not be the star, might suit Rooney pretty well. He's not Ronaldo, who thrives as a solo artist, he's more of a great support act who can do most good when free from the burden of everything resting on his shoulders. In the current United set up Rooney is the only go-to guy, so when he doesn't step up the team looks bad and that reflects on him. Had United invested in one or two quality players to share the burden this situation might not have arisen. But they didn't, and Rooney is clearly tired of being a one man band. The Red Devils will still be in winning form, long after Rooney's gone. Hey mates, I like the way that rhymes.. The man is a yob. The scandals in his "private" life will continue and we will have a poor mans Tiger Woods. Without doubt, Wayne Rooney is making a big mistake and to a certain extent, yes he does owe Utd something. Apart from everything the club have done for him professionally, SAF and the club have also assisted him greatly in his private life. This makes him more than just an "Employee". He is part of the United family and as such he does owe his family something. Personally, looking beyond the emotions, this actually may be the first backlash by a player against the Glazers. Maybe the lack of assurances Rooney wanted about future players is an indication that the Glazers simply do not have the money to compete. If this really is the case then Rooney should hold the door open long enough for the Glazers to follow him! There is no club bigger in England than Utd. Just because a cuple of clubs have billionair owners, it will take years of continued susccess and history building for the likes of Man CIty and Chelsea to even come close to Untied. As a result, the only possible direction for Rooney is Spain. I think it is about money and i think that Rooney is being ill-advised by greedy manipulative agents who are more concrened about their own pockets than the long term name of Wayne Rooney. To be a true football legend wayne, you need to follow the examples of Giggs, Scholes, Neville, Raul and Paulo Maldini. Loyalty through thick and thin. I tink Rooney is making a huge mistake by leaving Man u that have build him so far, however,i wish him goodluck. And wish man u full comeback from ups and downs. Of course, Sir Alex is disappointed – he is losing his winning stallion. He said that the club looked after Rooney so well and cared for his welfare – would it have been the same had he not been scoring goals and 'carrying' the team on his square shoulders the previous season? Everyone looks at any situation through stained glasses – their own biased eyes and the same goes for Rooney. Very obviously Rooney must have been seriously hurt by Man U somehow, somewhat and by someone to make such a decision. I don't believe its about the money ....... we all forget that this is a young man with the world on his shoulders, paparazzis in his face, hot steam from Sir Alex' mouth, the demands as a father & husband, the demands from fans (Man U and England ......... damned it, even England supporters in Singapore !!!). So, give the lad a break ........ treat him like a human with some respect too ............ by the way, this is meant for Sir Alex!!! Rooney have his own reasons and i'm happy he is leaving manchester. Those who thinks he neds to stay are simply afraid the team will fall apart. You guys tried but not close enough. Rooney is a guy who always wants to be in charge. Now there is a new man in town who is hitting hard and strong and he, Rooney, does not like it. Coincidentally, his domestic affair is smearing things up but Nani is getting all the focus these days..
Rooney personifies all that is bad about football and makes me ashamed to be English. He should sample some of the rougher side of life before complaining that he's hard done to. Let's boil it down t his level, he's a poorly educated, overrated greedy and spoilt. Let's boil it down to his level, he's a poorly educated, overrated greedy and spoilt. Wayne Rooney. What's he play football for anyway – he's rich. What's the point of being rich if you have to eat salads and go to the gym everyday. I think he lives up North too. He should get himself a nice flat in Bournemouth or Torquay he can even play football on Sunday mornings if he likes, spend more time being dragged around the shops with the Mrs (we've all been there mate). My advice is retire, somewhere nice, open a pie shop, an upper class one for other millionaires and celebrities, Coleen can cook and he can serve and deliver then his boy can take over the business once he leaves school – right lets move on! Rooney should be focused on his game. His performance in the world cup was pathetic. It's funny how they (players) work hard to make it into the team, and when they do all they care about,is "MONEY"